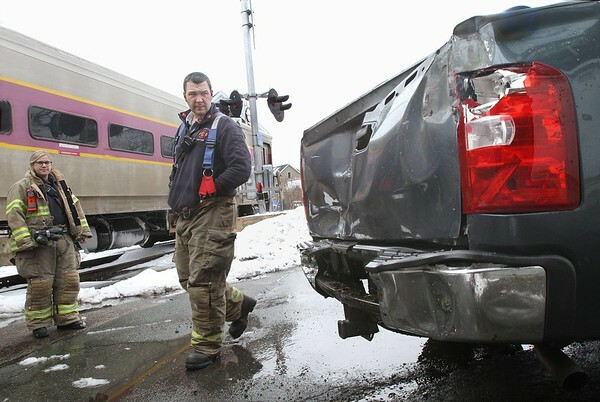 Gloucester fire captain Jamie Santos and firefighter Alison DeMuele, left, look at the damage to the back of a Chevrolet Silverado pickup truck that was hit Thursday by an MBTA commuter train at the intersection of Cedar and Willow streets in Gloucester. The woman who as driving the truck was uninjured. The train was delayed for 15 or 20 minutes while police investigated. There was no apparent damage to the train.